A few months ago, Gender Spectrum launched Gender Spectrum Lounge, a digital space for gender non-conforming and transgender children, their families and the variety of professionals to share their stories and experiences. It’s a great place to exchange ideas, confide and discuss the topics that are most important to our community in a safe, secure and supportive digital platform. For the safety and security of everyone involved there are few steps to join the Lounge. I’m sure you can understand why. It’s totally worth it. Also, Gender Spectrum has a national call-in support group. It’s a conference call that takes place on the last Wednesday of each month from 5 to 7 p.m. (PST). Contact them to learn more at 510.567.3977 or info@genderspectrum.org. Have you ever heard someone say that the worst thing they can imagine for their child is for them to be gay? I have. Read one women’s response in this blog post. My favorite line of hers is “Get a fu*king clue.” Thanks to the Raising My Rainbow reader who sent this my way! DreamWorks and Honda Center in Anaheim invited us to the premiere of the How To Train Your Dragon Live Spectacular. It was really an amazing show and C.J.’s Brother has given it two thumbs us. They have just released more than 800 new tickets across the seven previously sold out performances. Get tickets at ticketmaster.com or by calling (800) 745-3000. If you’re not in OC, you should see the show if/when it hits your town. This entry was posted in All Posts and tagged DreamWorks, Gender Spectrum, Honda Center, How To Train Your Dragon. Bookmark the permalink. For what it’s worth, GSL has been the easiest group to join. I understand the reason for safety/security precautions, but the fact that I was able to join the group all online, without an “entry interview” as many of the support groups require, made it much more accessible from my standpoint. Thanks so much for the tip! She’s so awesome, just like you are. 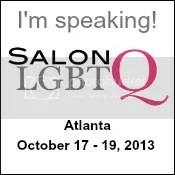 Thanks so very much re the information about the Gender Spectrum Lounge. I have always been in awe of the Services that Gender Spectrum seem to offer, and now hopefully I can find some others to chat with. Happened to read this just as 20/20 ran an update about Jazz, an 11 year-old girl who is biologically male! Thank you so much for linking that blog post. It has really touched me on a sleepless night. I have struggled with my gender and am still not quite settled, but the compassion you and others like Hannah (from the post) show makes me hopeful for the future. Gender Spectrum is a wonderful group. They put on an excellent presentation about raising and supporting gender non-conforming children at my church some time ago. And last summer, I was a volunteer at their Family Conference. 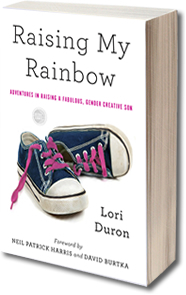 My husband and I personally use the Gender spectrum call in group and it has been really helpful for us. Specially because there is nothing here in Mexico such as a parents support group. We also attended to the Gender spectrum 2012 conference, a really great experience not only for us but for our daughter too.